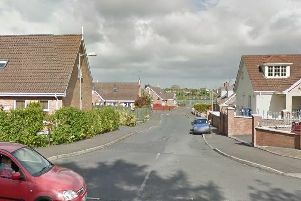 Police are probing a burglary at the Portadown home of a victim who is hard of hearing. It is believed the property in the Seagoe Road area was broken into between 11am and 5pm on July 14. The PSNI said: “The burglar, or burglars, got in by smashing the back patio window. All the rooms were then ransacked. This would have created a lot of noise, and we’re hoping that jogs someone’s memory. “Did you see anyone in the area that day that looked out of place? Any vehicles parked up that you looked twice at? Anyone calling at doors in the area offering work done? The sound of breaking glass? “One of the victims is hard of hearing, making them even more vulnerable to break ins. I’m sure that angers you as much as it does us. “We want to catch the low life who did this so please, if you’ve any info you think may help, call 101 and quote incident 907 of the 14/07/16,” said the PSNI Craigavon on their Facebook page.